We've been building new additions and renovating homes in the Southlake area for over 10+ years. 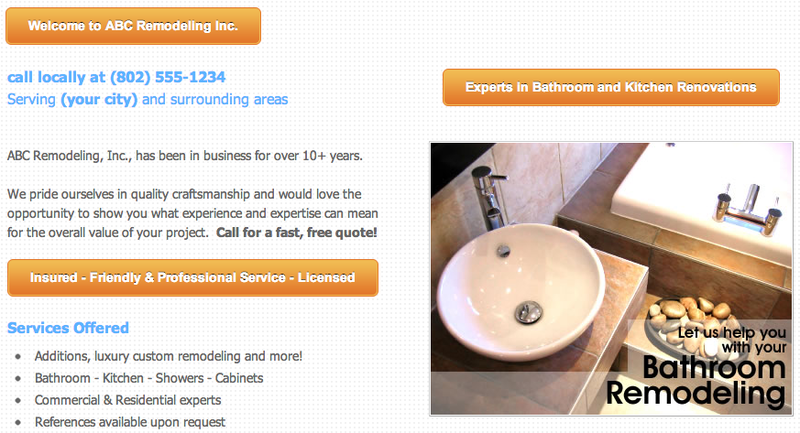 With references across DFW, you can trust us to get your bathroom remodeling job done right the first time. Sit back and relax and learn what hundreds of satisfied remodeling customers in the Southlake Keller area already know - we are one of the most respected contractor companies in the North Texas area - no job is too big or too small for our team of professionals. A quick tip for a bathroom project: The look of cabinet doors makes a strong first impression, contributing to the overall design of the space. Although many varieties exist, they fall into two primary categories: slab and frame-and-panel. Solid wood doors will have natural variations including knots and mineral streaks. The same also applies to a kitchen area. Ambient lighting: Ambient lighting is the general lighting that fills a room. During the day, assuming your bathroom has a good variety of windows, sunlight can provide much of the light needed. You also should install adequate ceiling fixtures, track lighting or recessed fixtures. Lighting from ceiling fixtures alone can create unpleasant shadows. How much light is enough? Generally, a good rule of thumb for ambient lighting in a Southlake bathroom (and sunnier areas of the USA) is 100 watts of incandescent light or 75 watts of fluorescent light per 50 square feet of floor space. You should consider the height of your ceiling and any special needs your bathroom might have before beginning the renovation process. Also, darker colors tend to absorb light, so if your decorating scheme relies on darker tones, consider added lighting. Accent lighting: Accent lights, used to highlight an interesting feature of a Southlake, TX home's artwork, can increase the design impact of your kitchen or bath area. These lights are typically about three times as powerful as general lighting. Low-voltage halogen bulbs are a good choice, as well as a recess downlight with an eyeball lens pointing a beam of light in a particular direction. Although more common with kitchen remodels, this is one option to consider and research. We have done such work on a variety of homes in the Southlake area. Task lighting: Task lighting provides direct light in areas such as above sinks, the food-prep area, and the cleanup center, not to mention a shower area. Many types of fixtures, including recessed down lights, track lights, hanging pendent lights and under-cabinet strip lights, provide excellent task lighting. It's best to have the lighting for each work center controlled by its own separate wall switch. As a general rule, halogen lights last twice as long as incandescent ones and are up to three times brighter. Halogen lights radiate all the colors of the spectrum so that the light they produce reflects decorative elements in their true colors. They are small and can be installed in unobtrusive fixtures. These bulbs are more expensive and burn at higher temperatures. No matter what your kitchen, shower or bath remodeling needs, we can help anywhere in the Southlake, Keller area of Dallas-Fort Worth! Want more? View new Southlake home additions including kitchen islands, flooring updates and outdoor kitchen designs in the area.